To permanently delete messages from the Verizon Messages app, refer to Delete Messages - Verizon Messages - Website. To delete messages from other messaging apps, they must be deleted from your device. 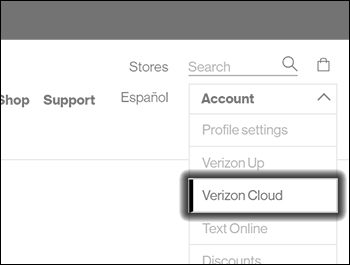 Each mobile number has its own sign-in credentials to access Verizon Cloud content. Select a file(s) then click the Delete icon. 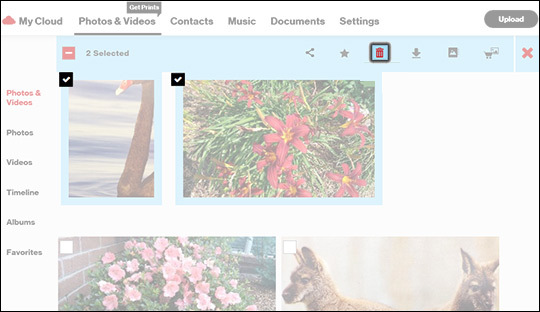 To select all the pictures/videos, click the box next to the total number of files then click OK if prompted. It may take a moment to process depending on the number of files in the Cloud.